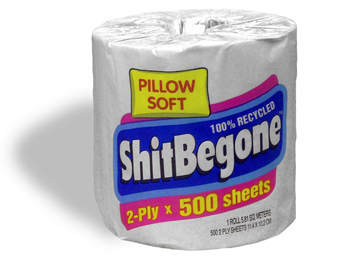 ShitBegone Toilet Paper is seeking a new home. Profitable product with solid growth and margins. Over 150,000 rolls sold to date. Name and logo available for licensing. Low royalties. If interested contact jed [at] shitbegone.com.